In addition to our well-known tax law practice, we also offer estate planning, business succession planning and probate services. Mrs. Willi began her legal career more than 30 years ago. However, she is not only an experienced lawyer, but she is also a certified public accountant. The combination of law and accountancy make her a valuable ally for an Ohio resident or business who has a need that is both legal and financial. 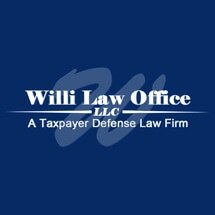 Whether you need help with a tax-related problem or you need a lawyer to help you create a plan for the future of your estate or your business, look no further than Willi Law Office, LLC, for the assistance you need. If you would like to learn more about our firm, you can do so by scheduling a free initial consultation at our law office in Westerville.